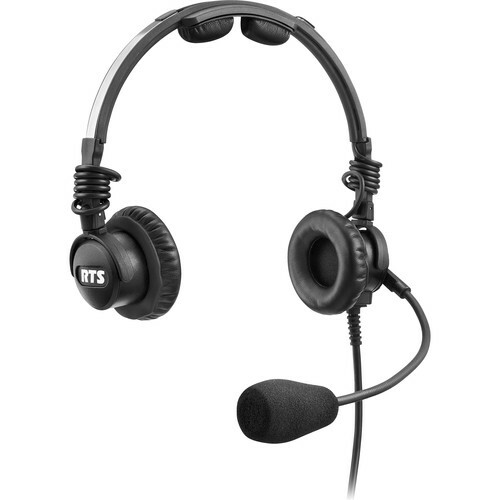 The Telex LH-302 is a lightweight RTS double-sided broadcast headset designed to provide comfortable 2-way communication for production crews, team personnel, and engineers in television production, sporting events, and theater shows. It features a noise-canceling dynamic microphone on a rotating boom for easy configuration in left- or right-side setups. Ear cushions and headband pads deliver comfort over extended periods of use. The 200 Hz to 10 kHz frequency response attenuates ultra-high frequencies and low-range rumble for a sound tailored to speech. The cable is 6’ long and has a pigtail termination.